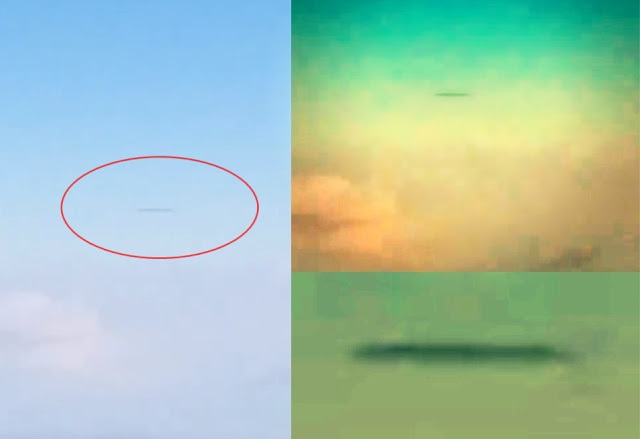 The plane passenger on board of the commercial airliner ‘Flying Swoop Airlines’ flying from Hamilton to Abbotsford on November 30, 2018 was about halfway through he flight when he spotted a huge cigar-shaped object in the distance. He states that the window was facing north, so we are looking at the Arctic, Nunavut, and Alberta. The passenger was able to film the UFO that seems to be parked at high altitude.